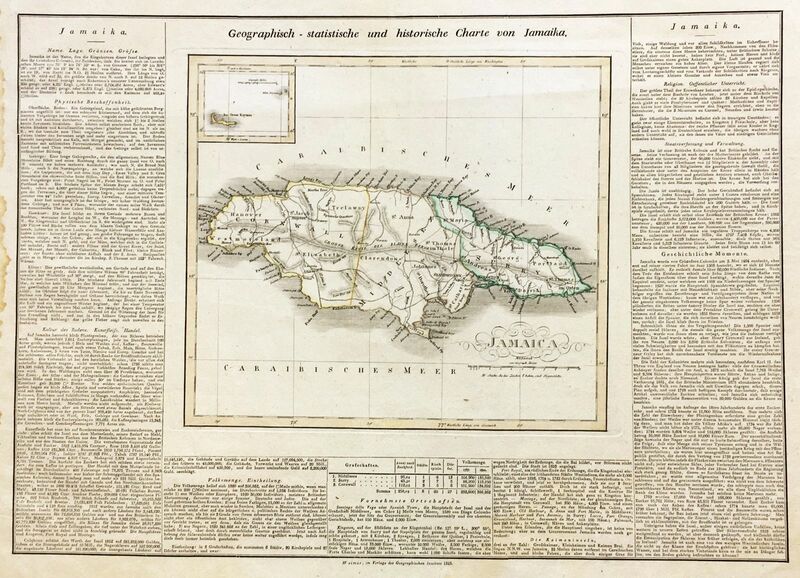 The Jamaica map from the scarce German version of the Carey & Lea Geographical, Statistical, and Historical Atlas. As in the original American edition, the Weimar map is surrounded on three sides by descriptive text. Size: 21 3/4" x 15 5/8"